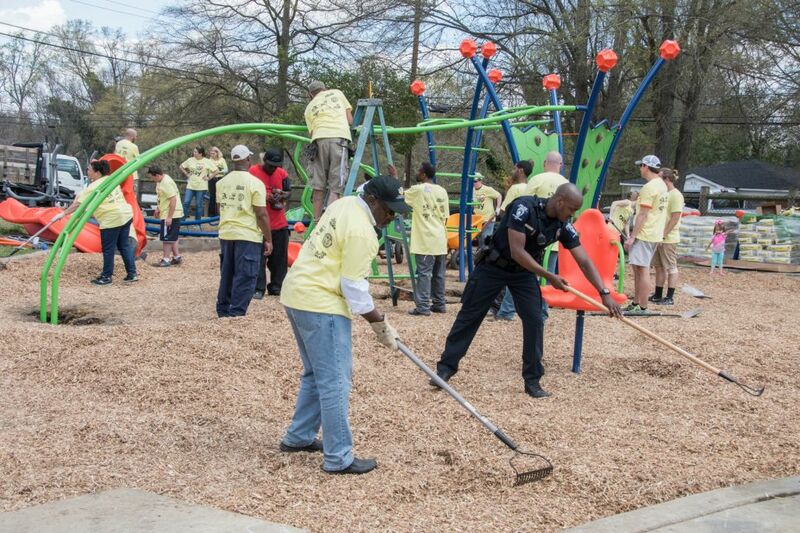 Healing Communities Through Play™ is a new initiative that hopes to rebuild community trust and relations between local residents and law enforcement through building a playground. The program provides opportunities for police, youth, local residents and leaders to interact, communicate, get to know one another and focus on our commonalities rather than our differences. We are hoping this small initiative finds it way throughout the United States and starts to help in mending community relations with local law enforcement. One small step in the right direction. “It’s a small idea, but one that can hopefully change negative perceptions and have a positive impact on our local communities,” says Officer Chelsea Kidder with the CMPD.